Director Richards, Layton & Finger, P.A. 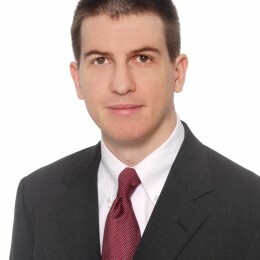 KELLY E. FARNAN’s practice includes complex commercial and intellectual property litigation in the Delaware state and federal courts, as well as arbitrations conducted under the Delaware Uniform Arbitration Act and by the American Arbitration Association. Vice chair of the firm’s Litigation Department, Kelly has been involved in numerous bench and jury trials and has also been successful in resolving disputes in her clients’ favor through dispositive motions. In addition, Kelly is active in the Delaware chapter of the Federal Bar Association, the association through which the District Court interacts with the intellectual property bar. She currently serves as President of the Delaware chapter of the FBA and is a past participant and coordinator of the Federal Trial Practice Seminar sponsored by the District Court and the FBA. Chambers USA lists 37 of our attorneys, more lawyers than from any other Delaware firm, and recognizes 6 of the firm’s practice areas for excellence (2018). Benchmark Litigation gives our firm its highest ranking and names 15 of our lawyers as Litigation Stars, the most lawyers of any Delaware firm (2018). Richards Layton is ranked in the top tier in Delaware in 19 practice areas by the U.S.News Best Lawyers 2018 “Best Law Firm” rankings. 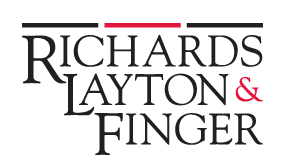 Richards Layton has 57 attorneys named in The Best Lawyers in America, more than any other Delaware firm (2019). Richards Layton served as Delaware counsel on 57 deals valued at or above $100 million in 2017, more than any other Delaware firm—in fact, we’ve had the most high-value deals for more than 20 years running in Corporate Control Alert’s annual rankings. We have argued many of the ground-breaking cases defining the duties of corporate directors under Delaware law, including Unocal, Caremark, Paramount, Weinberger, and Disney. Our lawyers play crucial roles in drafting and amending many of the state’s business statutes, including the Delaware Statutory Trust Act, Delaware General Corporation Law, Delaware Limited Partnership Act, and Delaware Limited Liability Company Act. We wrote and continue to update The Delaware Law of Corporations and Business Organizations and Lubaroff & Altman on Delaware Limited Partnerships, two leading treatises on Delaware law. Our lawyers and alumni have been appointed to the state and federal judiciary—including the Third Circuit Court of Appeals, the U.S. District Court, the Delaware Court of Chancery, and chief justice of the Delaware Supreme Court—and have served as a United States congressman, the governor of Delaware, Delaware’s secretary of state, and a current state legislator. 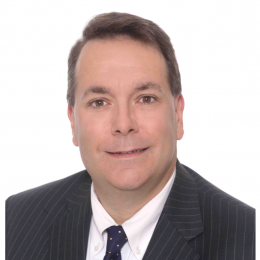 A Richards Layton attorney is the appointed chair of the Court of Chancery Rules Committee and past chair of the Litigation Rules Committee of the Delaware Supreme Court.